WRESZCIE W POLSCE!!!!!!!!!!!!!!!!! DZIEKUJE MUSCLE ZONE! Take 8 capsules daily, with a meal, in divided doses, or as directed by your healthcare professional. Do not take within 5 hours of bedtime. Neural tube defects develop between the 16th and 28th day after fertilisation when many women often have not realised yet that they are pregnant. 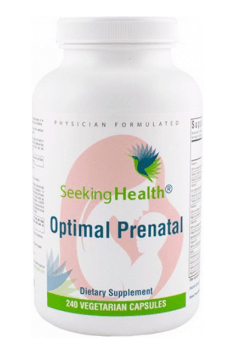 In the light of recent studies, women, who are at the reproductive age or are planning pregnancy, are recommended folic acid supplementation in the dosage of 400 mcg per day a month before planned conception and during the first trimester of pregnancy. In the event of increased risk of developing neural tube defects, the dosage should be increased to 4 mg a day during the whole pregnancy. The formula does not contain iron because it competes with calcium for absorption. What is more, many pregnant women need different amounts of iron. Because of that, when supplementation is necessary, it is suggested to take the product with a dosage which is suited to our needs. Carefully selected lyophilised bovine pituitary tissues. Menaquinone-7 is a term used for long-chain form of vitamin K2, having seven isoprene residues in the side chain. Contrary to another popular form MK-4, it is not synthesized in tissues, however, it may be produced in the intestines by means of the conversion from vitamin K1 by intestinal bacteria. It exhibits especially positive influence on the health of the circulatory system, especially by lowering the risk of atherosclerosis and heart attacks. It owes this effect mainly to osteocalcin, activated by vitamin K2. This hormone is responsible among others for the transport of calcium to bones, which counteracts its storage in soft tissues, decreasing at the same time the probability of blood vessel calcification and the creation of atherosclerotic plaques. K2 MK-7 also contributes to protecting the nervous system, securing neurons from excitotoxicity induced by excessive activity of glutamate and reducing the consequences of excessively low level of glutathione. Vitamin K2 in the form of menaquinone-7 is a very popular additive to supplements with vitamin D3, due to the synergy of effects and reducing potential negative effects of applying higher doses of cholecalciferol. Menaquinone-7 may be found both in monopreparations and complex supplements in the offer of muscle-zone.pl. Calcium folinate - a metabolite of tetrahydrofolic acid constituting a perfect form of its supplementation. Tetrahydrofolic acid is a biologically active form of folic acid, especially recommended to people dealing with methylation disorders. Folic acid in the active form is at the same time a promotor of this process, but it requires efficient action for its activation, therefore in case of methylation disorders, folates are the only effective form of supplementation of this compound. Folic acid is mainly associated with pregnancy. In its active form, it is responsible for the regulation of the development of the neural tube of the fetus, which constitutes a key factor, conditioning its proper development. Providing folates is currently indicated as the most effective form of healthy pregnancy prophylaxis. Another important aspect of the functionality of tetrahydrofolic acid in the organism is its role in the process of methylation. It positively influences the efficiency of transformations of homocysteine to methionine, thanks to which it demonstrates positive influence on the health of the cardiovascular system. The efficiency of this process is also conducive to maintaining the high concentration of S-adenosyl methionine in the organism. This compound demonstrates special influence on maintaining optimal mental functions and healthy liver. L-selenomethionine is a selenoamino acid and organic form of selenium. It is a combination of selenium with methionine (about 40% of selenium and 60% of the amino acid methionine per molecule) in which a sulphur molecule is replaced by selenium. This form is absorbed very effectively via the digestive tract. It is believed that the bioavailability of selenium from L-selenomethionine is even 1.5-2 times greater than its non-organic forms. It is estimated that its bioavailability may exceed 90%. Furthermore, the half-life of L-selenomethionine is much longer than in non-organic forms – it is 252 days. This means that the absorbed selenium is accumulated for a long time in the body. Selenium is a component of many key biochemical pathways. It helps protect the body from oxidative stress, prevents atherosclerosis, supports the immune system and brain function and optimises thyroid function. It has been demonstrated that selenium as L-selenomethionine may, among others, reduce the secretion of proinflammatory cytokines in female patients with Hashimoto’s thyroiditis..
As a dietary supplement, L-selenomethione is most often used to support thyroid, cardiac and immune function and stabilise cholesterol levels. Carnosine (synonyms: L-carnosine, beta-alanyl-L-histidine) is a dipeptide containing the amino acids (beta-alanine and L-histidine) located in the muscle tissue and nerves. It is a potent antioxidant with anti-buffering and chelating properties. It prevents the development of neurological disorders associated with ageing, for use in prevention of cancer, inhibiting the glycosylation and carbonylation processes. Maintains acid-base balance in the muscle tissue contributing to the increase in exercise capacity. It has an impact on the nitrogen metabolism. In the sports supplementation, rare in pure form, more common in preparations containing its precursors - beta-alanine and L-histidine, available at www.muscle-zone.pl.